There is a well-qualified Head Teacher as well as additional Teachers in each classroom; a Floating Teacher assists in class as needed. 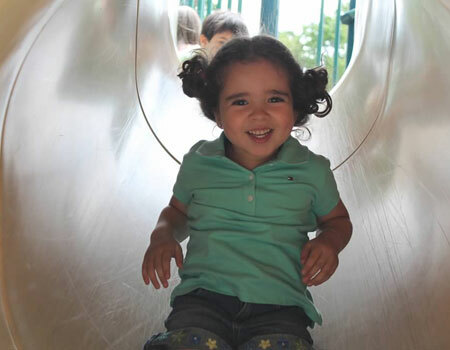 The preschool program offers many wonderful enrichment opportunities for students. A music specialist teaches the children rhythm and music appreciation. Spanish education is an important part of the curriculum as is Creative Movement, which is offered to the 3 and 4-year-olds. Classes go on various field trips during the school year, such as visits to the Fire Station or the Greenburgh Nature Center. Holidays are an important part of our preschool program, as they teach the children to learn and celebrate various cultures and religions. The 4- year-olds especially enjoy the Thanksgiving Feast where they cook food and invite their parents to share in their celebration. The Holiday Tea in December is enjoyed by all, as the parents are invited to see the children’s delightful performances with refreshments to follow. The Nursery School is structured around the belief that the fullest value of preschool can come only as parents are involved and growing too. Parents are most welcome to visit the school at any time. The Nursery School Board is composed of parent volunteers and the Nursery School Director. Parents are strongly encouraged to participate in board activities, as well as attend Parents’ Night and other programs of interest. © 2019 Scarsdale Congregational Church Nursery School. All rights reserved.